Mark Helprin’s books take up an inordinate amount of space on my “favorites” bookshelf. A Soldier of the Great War and In Sunlight and In Shadow are on my top ten list of favorite books. 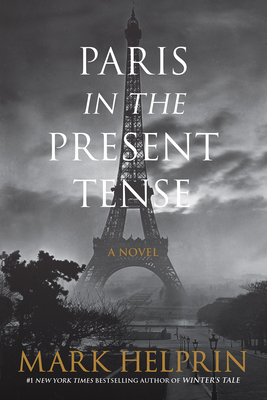 His new novel, Paris in the Present Tense, has earned a prominent place on the shelf too. The main character is a cellist named Jules Lacour. At seventy-four years old, he finds that he’s not living the life of ease he thought old age would bring. His beloved wife has died, his grandson is battling cancer, he runs afoul of the law and an insurance agency. I am always taken by Helprin’s gorgeous, dense writing and the way he weaves a compelling story. But this time around, I realized that one of the things I love most about him is the way he talks about the attraction that men have for women in ways that are fresh and alluring. I raced almost to the end of this 400-page book, captivated by the story, and then crept through the final pages, reluctant to be finished.